With the cooler weather finally upon us, it's time to invest in some leather pieces for the winter season ahead. Along with the typical jackets and boots, a more lady like take on the trend means that pretty pleats and softer sihouettes come into play too. Leather can easily update your wardrobe and give your look a cooler edge. Take a look at the beautiful pieces below inspired by celebrities and the catwalk. 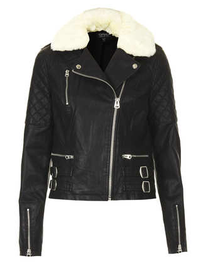 A gorgeous shearling collar leather jacket - 2 trends in 1! 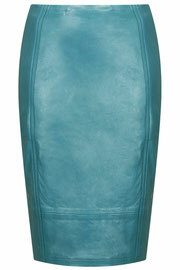 Leather midi skirts are a huge trend to watch out for! 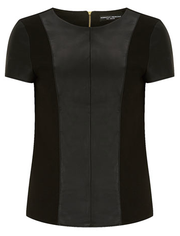 Styled with a silk/chiffon top it works perfectly for evening or workwear. January Jones looks super stylish in her over the knee Alexander Wang boots. If a biker jacket is a little too masculine try a collarless jacket or one with a soft collar like this fabulous jacket from Mango. GORGEOUS! 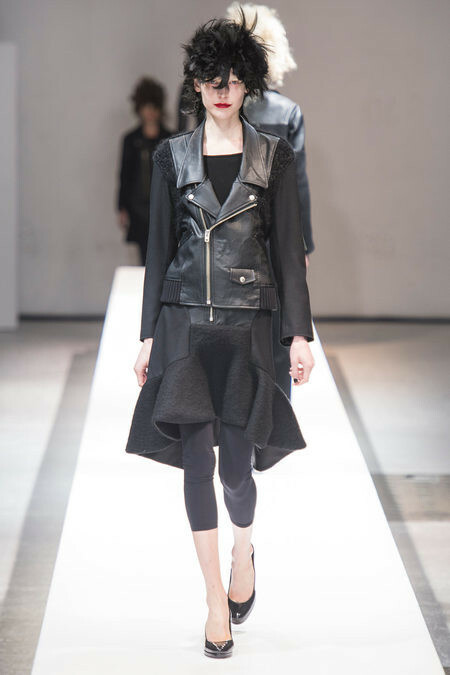 This is the perfect faux leather jacket to keep warm and add an edge to your look! A more fashion forward look if you want to get noticed! If all over leather is too much then this faux leather panel top will do just the job! A client bought this the other day and I had serious clothes envy! 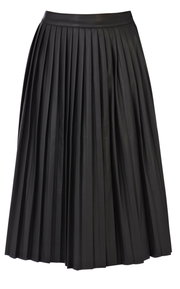 Midi skirts are still a strong trend for the season ahead and this leather pleated version is totally fabulous! Wear with a bright top to make your outfit really stand out! 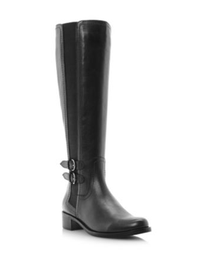 A classic pair of riding boots are an essential buy for the autumn winter months! Wonderfully chic and timeless, these boots will never go out of style! Add a subtle hint of leather to your outfit with a sophisicated pair of leather gloves. The scallop detail gives them a feminine look. 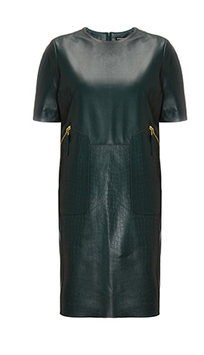 Have you bought any leather pieces for the season ahead? What do you think of the High Street selection above? I'd love to hear your comments.